Manchester United’s interim manager Ole Gunnar Solskjaer is reported to have started his time in charge of the club with a classy gesture to members of staff. In a detailed report on the Norwegian’s time at Old Trafford from BBC Sport, it’s clear to see why the former Red Devils striker has lifted the mood at the club after a torrid time under his predecessor Jose Mourinho. According to the report, one of the first things Solskjaer did upon his return to Man Utd was present members of staff with chocolate bars as he used to do when he was a player, in recognition of the work that goes on behind the scenes. It’s clear the 45-year-old’s simple values of respect go a long way, with the report going on to explain a number of other gestures that have made him such an important presence inside United. It may now be that Solskjaer will land himself the MUFC job permanently, with speculation growing that this is on the cards. 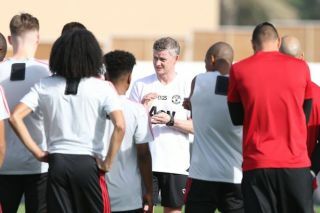 In fact, some, such as the Sun, report that the United board have already decided on hiring Solskjaer ahead of other big names, though an announcement may still wait until the end of the season. This would surely be a popular choice with the club’s fans, however, with many feeling they’ve really got their old team back in recent weeks.